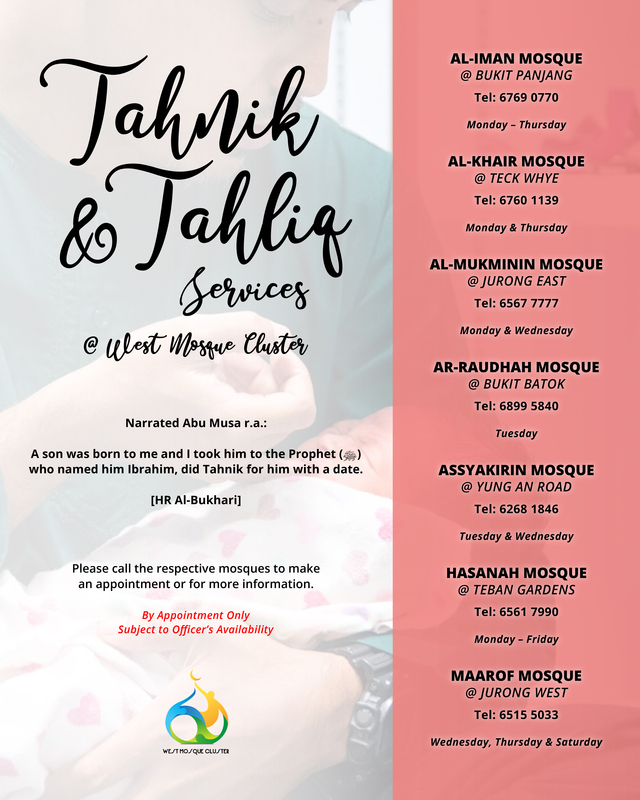 Contact our Customer Service Officers at 6515 5033, or email us at info1@maarof.mosque.sg for bookings! Please note that each session is only for one baby. What is meant by Tahnik?